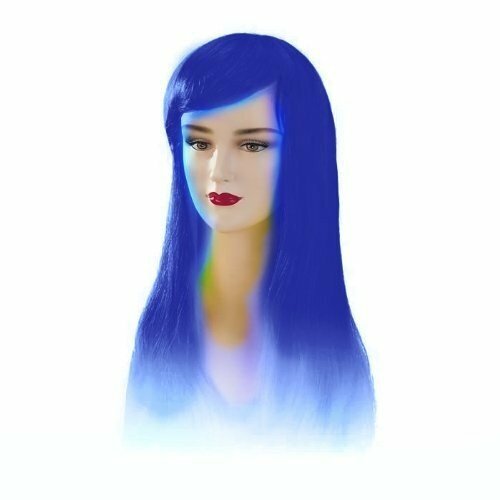 This bright blue Stargazer adjustable Jezzabel style fashion wig is a top choice for those that are going for edgy and funky and aren’t scared to be daring. This wig offers a beautiful long and sleek style that offers a side part with a nice fringe. Washable, able to be brushed and styled or cut, you can make this wig a style of your own with all the fashion that you need.